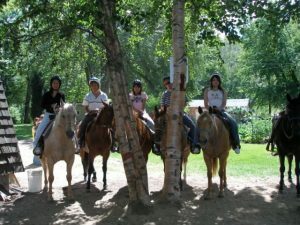 Harding Heights Ranch is a small family owned horseback riding business located in the beautiful Columbia River Valley region of British Columbia, Canada. 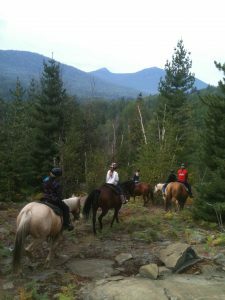 Harding Heights Ranch Ltd. is a small family owned horseback riding business located in the beautiful Columbia River Valley region of British Columbia, Canada. We take pride in our animals and in our home. 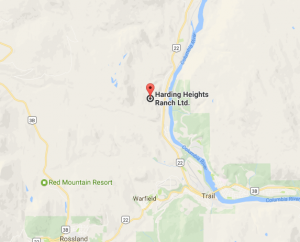 Harding Heights Ranch is located just outside Trail, BC, Canada, in the hamlet of Oasis. Oasis is about 4 kms from downtown Trail, on highway 3B 22 North heading to Castlegar, BC. Turn off to the left, into Oasis on Hanna Drive, and turn left at Hillcrest Drive once in Oasis, and head up all the way to the very top of the road, staying right at the Y, to Harding Heights Ranch. FRIENDLY HORSES AND GREAT SERVICE! COME AND SEE ALL THE CRITTERS, BOOK YOUR APPOINTMENT TODAY!